On May 3rd, I had the pleasure of representing Lady and The Blog at the Residence Inn Midtown in New York City. 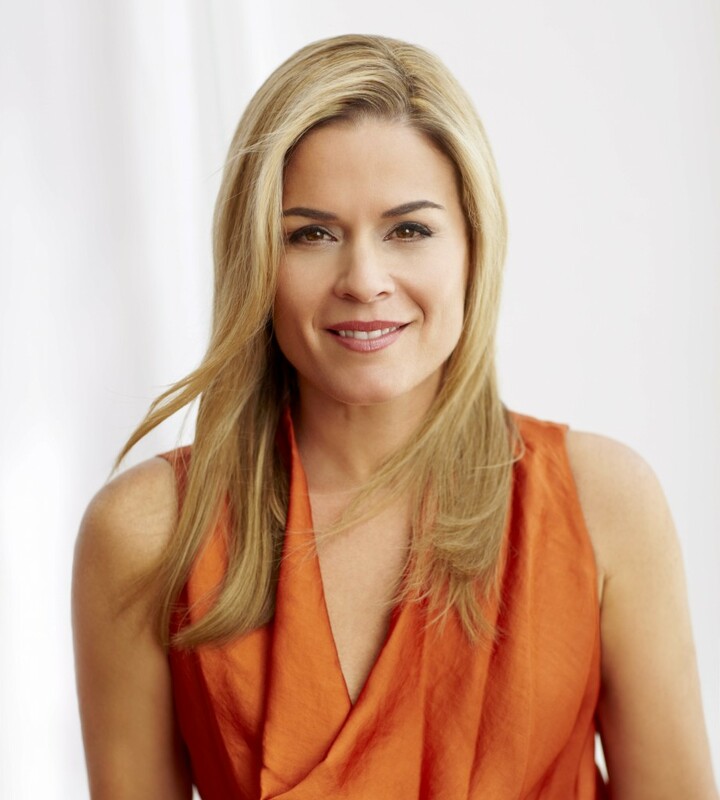 The occasion: Cat Cora, the accomplished Chef and Mom of 4, was announced as the Residence Mom of the Year. Chef Cora is the third Resident Mom honored by Residence Inn for inspiring families to find balance at home and while traveling. During the ceremony and cooking demonstration, the Chef shared three recipes that can easily be made in the Residence Inn kitchens provided in each suite. We were treated to a demonstration of the Chef’s Curried Quinoa Salad Mediterranean (a nod to her Greek heritage), flavorful Spicy Chicken and Tangerine Stir Fry, and a refreshing, healthier take on dessert…a Banana Yogurt Split with Berries & Coconut. I loved how simple yet delicious each recipe was, and how Cat was not only able to give us examples of other meals we could create quickly in our hotel room, but was able to answer questions about expanding our own children’s palates. She also encouraged us to take advantage of the Residence Inn’s free grocery delivery service and the hot breakfast they provide for their guests each morning. With most hotels only offering a continental breakfast, Residence Inn “spoils” their guests by providing a full breakfast buffet and display. During her discussion and food demonstration with Vice President and Global Brand Manager, Diane Mayer, we learned that in Cat’s home, it’s one meal or no meal. “If my kids decide that they don’t want dinner, I just tell them ‘Well, breakfast will be really delicious in the morning. '” The Chef also said to stick with the vegetables that your kids love, and don’t feel guilty about it because their palates will grow as they age. She added that parents shouldn’t hesitate to let children try something new. Whether it’s in a crudités form or as an extra side dish, give them a chance to create the love of a vegetable on their own. Congratulations to Chef Cat Cora and we can’t wait to see what’s in store for this Residence Mom of the Year in 2013.
love the show and all her dishes! Not to be a buzz-kill but wasn’t she arrested for DUI last summer? And now she’s “mom of the year”? Driving under the influence is a really dangerous and irresponsible thing to do…she could have killed someone.